Two cyclists, a 10-year-old girl and a 23-year-old woman, are recovering from injuries they sustained after being hit by vehicles in two different auto accidents in San Diego. The 10-year-old girl was riding eastbound on Catalina Boulevard at about 7:20 a.m. Tuesday when a 2011 Chevy van turned the corner on Wilcoz and hit her at the intersection. Despite what most people think, the young girl knows how to ride and was doing it safely. She competes in triathlons for kids and was riding in front of her dad, who was training with her. Her father barely avoided the collision. The girl was taken to the hospital for a fractured leg and collar bone. The 23-year-old woman sustained non-life-threatening facial fractures when a Hyundai SUV tried to pass her on the 4900 block of College Avenue, near Cresita Drive, at about 5:30 p.m. on Tuesday. The 55 year-old SUV driver was obviously in too much of a hurry to wait until it was safe to pass. Both drivers’ negligent driving caused these bicycle accidents, and they may be held liable for the damages, including medical bills, loss of income, etc. The victims’ family should immediately seek counsel with a San Diego County bike collision attorney to learn about how to get the compensation they need to cover these expenses. What are the top 5 types of California motorcycle accidents? How should motorcycle riders avoid them? San Diego, CA motorcycle accident attorney reveals these answers. Riding a motorcycle safely in California requires skill and judgment on the part of the rider. It is a fun way to get transport oneself across the state’s roads and freeways–one of the reasons why so many Californians ride their bikes. However, we all know that riding a motorcycle can be dangerous and there are several common accidents which happen daily on California’s roads from San Diego to San Francisco. Most motorcycle riders are not experienced riding on country roads. They grew up riding on city and town roads. However, country roads need a special sort of skill, knowledge, and ability, particularly around bends. Bends on country roads can be smooth and even and open up once you turn into the bend. Other bends tighten up dramatically and make the rider realize that they took the turn at too high a rate of speed only after entering the bend. That leads to a major problem and increases the likelihood that the rider will lose control. When taking a bend on a country road, pay attention to visual clues such as lines of trees, path of telephone poles, and roadside bushes that will give you an indication of the severity of the bend. Always make sure to take a safer path by entering the bend slower than one would expect is safe and allowing the motorcycle to accelerate through the bend when they have greater room to maneuver. This is the most common motorcycle accident in urban areas and usually happens when drivers of cross traffic don’t pay attention. They fail to give way or stop and pull out in front of the motorcyclist forcing him to lay the bike down or collide broadside with the motorcyclist in a “t-bone accident”. Most of these accidents happen at T-intersections with the vehicle trying to make a turn onto the main road or trying to pull out of a parking lot. Drivers of cars usually have a difficult time judging the speed of an oncoming motorcycle and thereby underestimate the time of arrival at the intersection. Always remember that in a crash between a motorcycle and a car, the bike will end up with the worst of it no matter who is at fault. Therefore, if you are approaching an intersection or riding in the far right lane of traffic, always look out for motorists who may not see you and pull out into the flow of traffic. 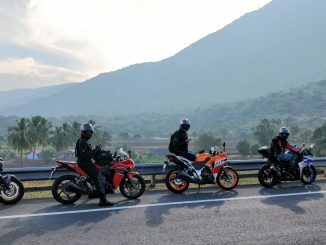 Passing slower traffic, particularly on two-lane roads when one passes in the oncoming lane of traffic, is a test of skill and judgment as well as the motorcycle’s acceleration. If you are not used to riding the particular motorcycle, be extra cautious. Take time to learn how the bike reacts to acceleration and braking in different gears before passing. It is generally not a good idea to pass when approaching bends, intersections, pedestrian crossings, hills or dips in the road, and while crossing double yellow lines. Losing control of your motorcycle is by definition dangerous. Losing control usually happens when the motorcyclist is following too close or the vehicle behind the motorcycle is following too close. To protect yourself, always make sure there is a buffer in front and in back of your bike and you can see all the traffic in front of you so that sudden stops won’t catch you off guard. Adjusting to changing road conditions is always a challenge. A variety of road conditions require different riding skills and experience to avoid losing control. These conditions include poor weather conditions, fuel spills, mud, manhole covers, and painted road markings. Keep a lookout for these road conditions and any road signs warning of danger ahead. Also look out for construction zones where loose gravel and debris gather. Always make sure your tires are in good condition and pressurized correctly. Your life often rests on your tires. When you encounter possible dangers, be sure to allow yourself more space and time to react. For all of the possible motorcycle accidents, the best cure is skill and experience riding your bike. If you or a loved one has been injured in a California motorcycle accident, the skilled and aggressive San Diego, CA motorcycle accident lawyers are available to discuss your rights and provide a free consultation. 25-year-old Melissa N. Ferreira was killed in a tragic car wreck that occurred on November 19, 2011, around 2 a.m. in front of the El Cajon Grand Bar on Main Street. According to El Cajon police officers, a man and woman were struck by a Mitsubishi Montero going westbound in front of the bar. Ferreira suffered fatal blunt force trauma and was pronounced dead at the accident scene. The male pedestrian suffered non-life threatening injuries and was immediately taken to nearby hospital for treatment. The SUV’s driver stopped immediately following the crash and was cooperating with investigators. Our thoughts and prayers go out to the family and friends of the deceased pedestrian. From the available information, it is unclear what led to this serious pedestrian accident. The accident is still under investigation. Alcohol and drugs were not a factor. The deceased’s family members should immediately seek counsel from an experienced San Diego County car crash lawyer who would educate them about their legal rights and help them obtain compensation to cover the burial and burial costs, loss of anticipated earnings, and other accident-related damages. The injured pedestrian may also file a personal injury claim to obtain compensation to cover treatment, medical and hospital costs. Our law office sends our condolences to Ferreira’s family and hope that the injuries suffered by the other pedestrian heal soon. 6-year-old Anthony Martinez was killed in a tragic pickup-truck wreck that occurred on November 24, 2011, around 4:20 p.m. at the 1300 block of W. Olive Street. According to Cmdr. Tom Chronister, Martinez was riding his bike along the sidewalk, entered the street, and was struck 50-year-old Jesus Calderon Ruvalcaba. Martinez suffered fatal injuries and was pronounced dead at the accident scene. From the available information, it is unclear what led to this serious truck wreck. Was the driver speeding? If it is found that the truck driver was driving negligently or recklessly, then he might be held liable for the young boy’s death. Meanwhile, the injured juvenile’s family members should immediately seek counsel from an experienced Ventura County bicycle accident lawyer who would educate them about their legal rights. This lawyer may also help young boy’s parents obtain compensation to cover treatment, medical and hospital costs. Our personal injury law office sends sincere condolences to the young boy’s parents. 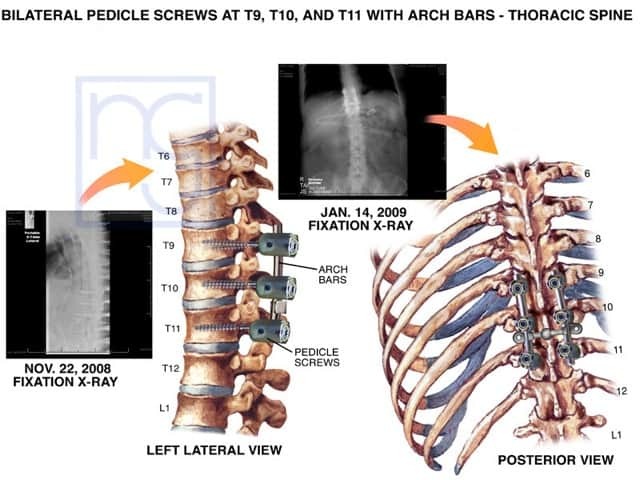 A Back Injury Can Be Extremely Painful and Cause Your Vertebrae to be Permanently Weakened. In Extreme Cases, It May Cause Neurological Damage or Disability. If You Have Been Hurt, Get Medical Assistance Immediately and Contact a Personal Injury Lawyer to Get the Recover You Need. 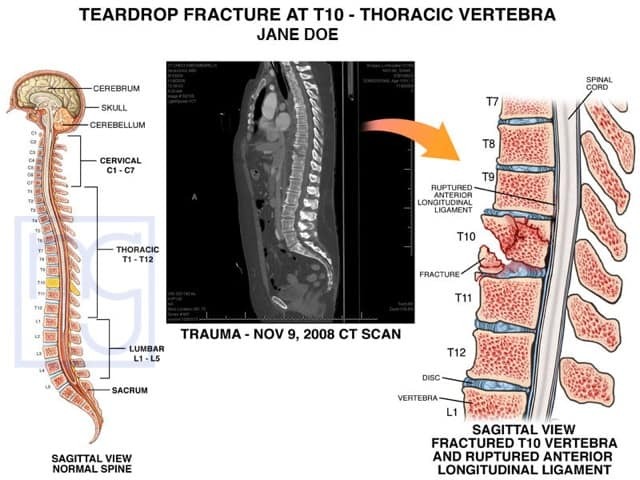 An injury in the back section of the spinal cord can cause the back vertebrae to be fractured or dislocated. 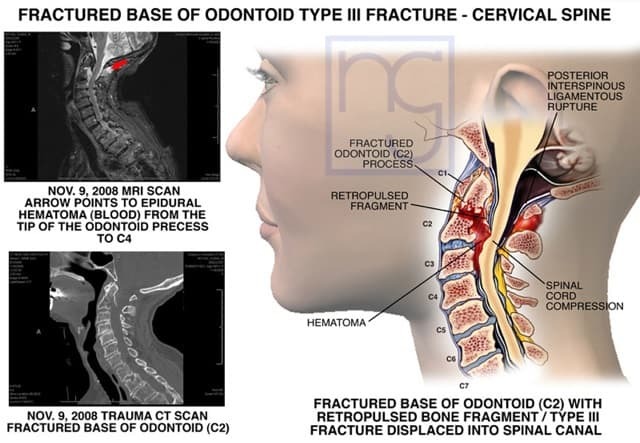 However, if the injury causes damage to the spinal cord, it may result in neurological problems or paralysis. 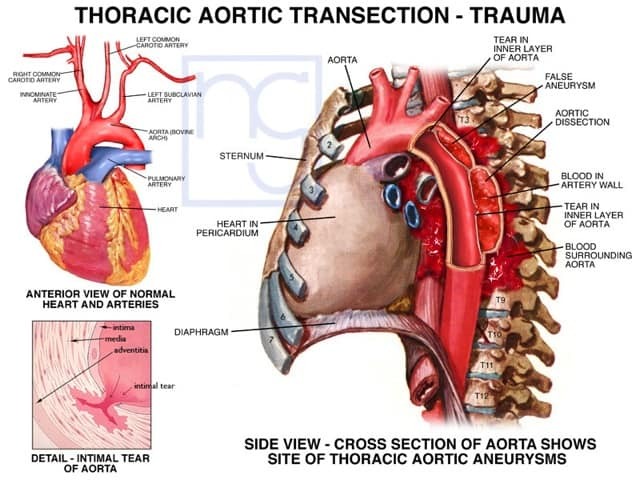 Auto accidents and falls are the most common forms of trauma leading to fractured vertebrae. For instance, if a pedestrian is struck by a vehicle when trying to walk through a crosswalk, he may be thrown into the air and lands on his back. 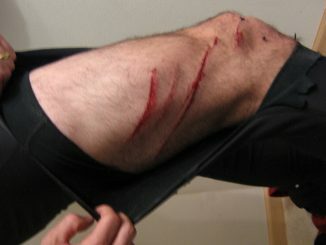 The victim may immediately feel pain and stiffness after the impact, making him unable to move. 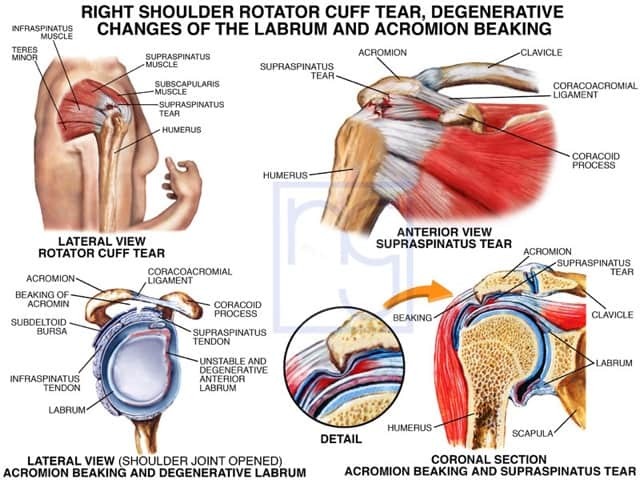 The extent of the back injury varies depending on the location and severity. 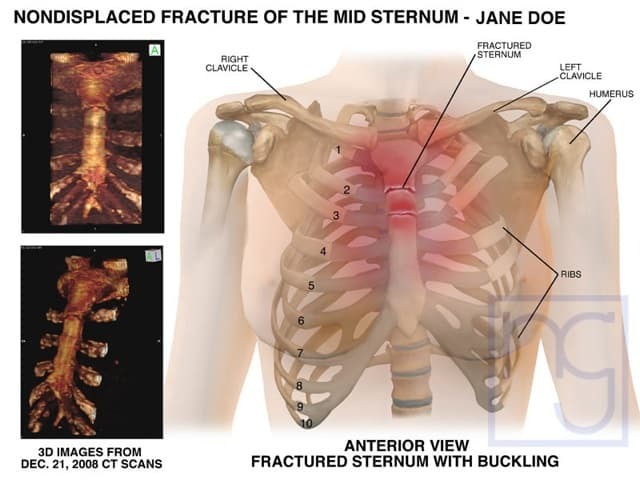 Broken vertebrae can be extremely painful and require intensive care, medications, and possible physical therapy. 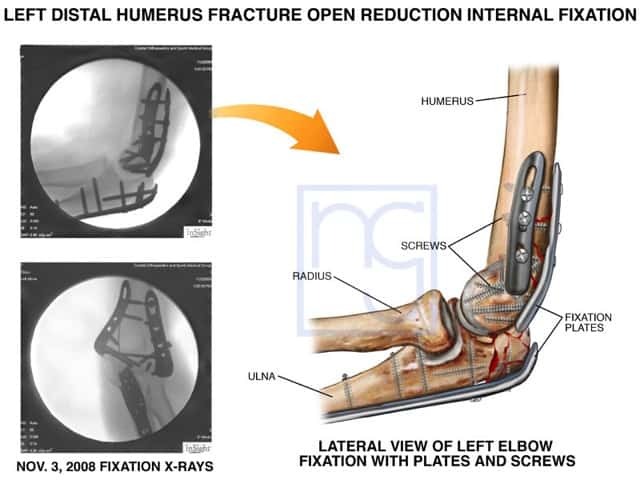 While many walk away with little or no injuries from car accidents, there are many more who suffer immediate injuries that permanently change their lives. Among these injuries, suffering paralysis can have a huge impact on a victim, as even small details of everyday life may be affected by becoming paralyzed. Our legal team understands the devastating nature of becoming paralyzed in a car accident and the many circumstances that may lead to a paralysis-causing car crash. For the wellbeing of all California residents, we seek to inform everyone, whether or not they have fallen victim to such injuries, of the nature of these accidents and what actions may be taken to recover. Paralysis can be caused by many different injuries and illnesses, however, during a car accident, it is often due to nerve damage, with spinal cord injuries causing the most widespread damage. 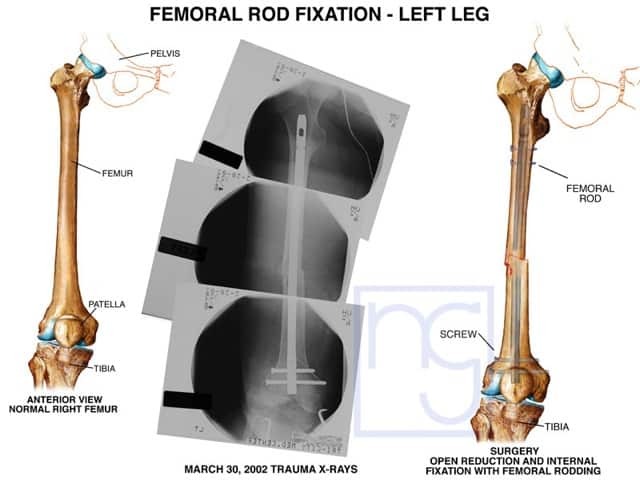 Depending on the type and location of the injury, a victim may experience complete paralysis that inhibits both motor control and feeling or incomplete paralysis that does not completely stop all feeling or movement. Paralysis can occur in single limbs if the nerves in the limb have been severely damaged, or it can affect both legs (paraplegia) or all four limbs (quadriplegia) if the spinal cord is damaged. 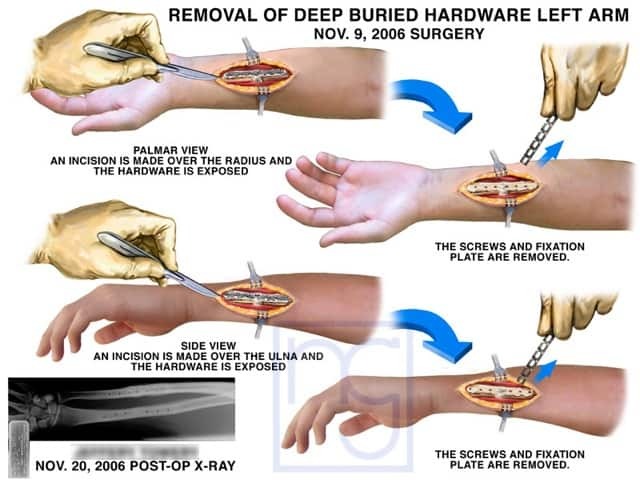 Unfortunately, many forms of paralysis can never be completely healed, even through extensive surgery. As such, physical rehabilitation can teach victims how to cope with their limitations and regain as much of their abilities as possible. Additionally, vocational rehabilitation can teach victims new skills to be used in a different occupation should the abilities that were needed for their job no longer be possible. With proper care, a victim can increase their quality of life to as high of a level as possible with their paralysis. While the physical losses experienced because of paralysis can be incredibly difficult, the emotional impact of paralysis can be just as great. Suffering a paralyzing injury can occur in an instant, with victims having no chance to understand their injury before they have begun to experience their losses. This sudden loss of capabilities can cause a victim to experience any and all emotions ranging from denial to anger to depression, with acceptance of their losses possibly not occurring for a long time. Receiving therapy to cope with the emotional trauma of paralysis is just as important as physical rehabilitation, as the mental anguish caused by injuries can damage a victim’s career, relationships, and overall quality of life. Our San Diego car accident injury attorneys have years of experience protecting the rights of victims injured in a wide variety of accidents and suffering many different types of trauma. As such, we have the skills and resources built up from years of success needed to find fair and full compensation for your losses in insurance company negotiation and any trials that may be needed. For more information on how we can aid you in your search for compensation and help you cope with your losses, call us. 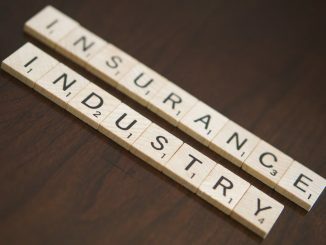 Which are the Top Ten Worst Insurance Companies in America and Are You Insured by One of Them? Read this Article to Find Out! Ever wonder how your insurance company stacks up against others? Ever wonder how the insurance company for the other driver or property owner will act following an auto accident or slip and fall accident? Will they treat you fair or will they lowball you and play hardball? These insurance companies insure and compensate for auto accidents, slip, and fall accidents, life insurance claims, and health insurance claims. Allstate was named the worst insurance company in America–again–in a dubious honor that seems to repeat each and every single year. According to the report, Allstate heads the list because of “a combination of lowball offers and hardball litigation.” It is even reported that insurance adjustors are instructed by their supervisors to deceive claimants by lying. 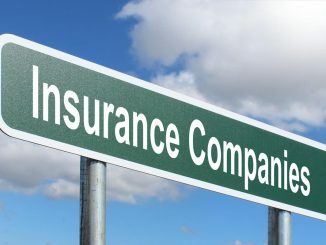 If you are insured by one of these companies you should consider switching to a more reputable insurance carrier. If you have been injured due to someone else’s negligence and find one of these companies as the insurance company for the negligent person or company, hiring the best California personal injury attorney you can find may be your best strategy. The American Association for Justice (AAJ) published a list of the ten worst insurance companies in America. Learn about the horrible things that your insurance company is doing before they do it to you. Do Insurance Companies Not Treat People Fairly? Do They Have a Plan to Cheat People from Benefits They Deserve? This Report Says “Yes”! 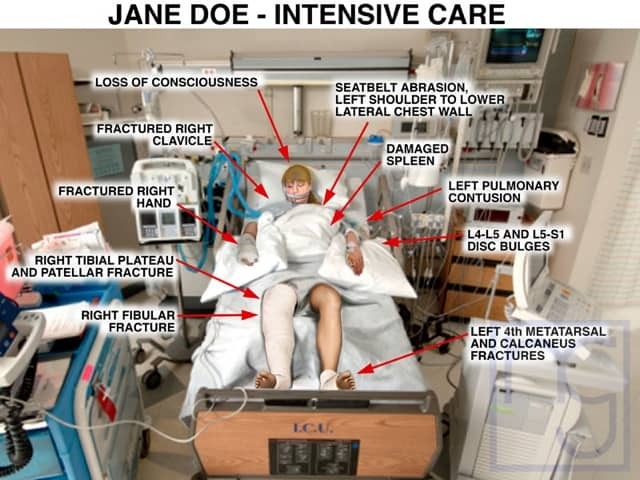 The American Association for Justice (AAJ) published this report telling how insurance companies have a consistent plan to deny insurance claims, delay the payment of claims, confuse people, and refuse to consider claims–all of which is intended to boost their profits at the expense of injured people. The Insurance Company Seems to Be Nice and Wants to Help Me Get a Fair and Just Settlement. Should I Trust Them? If insurance companies were as giving and helpful as they sound, they would be out of business. Insurance companies train their adjusters to settle claims for as little money as possible while making you think you are getting a fair amount. Unfortunately, many insurance companies routinely delay claims, knowing fully well that many policyholders will simply give up. In addition to this, they use several other tactics to make you settle with the lesser claim or even deny you. The bottom line is that insurance companies make money when they don’t pay claims and they will do anything to keep their profits high. The role of a personal injury attorney is to get you the money you need to get back on your feet, whether it is from your insurance company, your employer, etc. If you or someone you love has been a victim of an accident in San Diego that was not your fault, you deserve to get compensation for your injuries. Our Attorneys has the resources and experience to take on large corporations and insurance companies. Contact our law office to set up a free consultation. If you fall due to a “dangerous condition” (e.g., ice, trip hazard, standing water, etc.) on someone else’s property and are left with an injury that is long-lasting or interferes with your daily routine, the premise owner may be liable for the injuries you suffered. But how do you know whether you have a personal injury case in the first place? How should it be handled? Do you need a personal injury lawyer to help you? Here are some facts about slip and fall liability. First, you are not alone. Thousands of people are injured in slip and fall accidents every year, some of which are very serious. The causes of these injury accidents range from dangerous flooring, tricky stairs, an unexpected change in elevation that leads you to trip, or an uneven area of ground. These are known as dangerous conditions. Some tricky wording (you may have noticed “should have” quite often) often leaves room for debate between attorneys for property owners and injury victims. 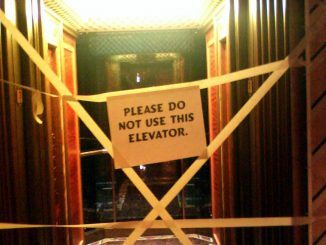 Liability relies heavily on whether the property owner followed its’ own rules and guidelines and whether the property owner or its’ employees used common sense to recognize and fix a dangerous condition. A debate also hinges on what was “reasonable” considering the circumstances. 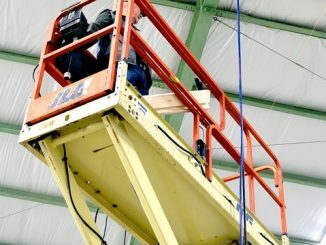 It is often important to determine whether the owner makes regular and thorough efforts to keep the property safe and clean and whether such “inspections” occurred just prior to your injury accident. If you tripped over or slipped on an object that should not have been on the property (the “dangerous condition”), had the dangerous condition been there long enough that the owner should have known about it? If you tripped over or slipped on an object on the ground, was there a legitimate reason for the object to be there? Bear in mind that the notice requirement is a double-edged sword. The primary way the property owner will learn of a dangerous condition is through a visual inspection–in other words, they saw it on their property. Seeing the dangerous condition is enough to put the property owner on notice. However, if the dangerous condition was visible to the property owner, the property owner will argue that you should have seen it too and avoided it. In other words, the property owner will argue that you bear some or all of the responsibility for causing your injuries. This is called “contributory negligence”. It does not prevent you from recovering money for your injuries, but if a jury agrees with the property owner it will reduce the verdict in your favor. For example, if you slip on water on a supermarket floor, a jury will be asked to determine whether the property owner was responsible for your injuries and whether you were contributorily negligent. Let’s say that a jury determines that your injury is worth $100,000 and that the property owner is 75% responsible and you are 25% contributorily negligent. The result of this verdict is that you will receive a verdict of $100,000 minus 25% ($25,000), for a net jury verdict of $75,000. 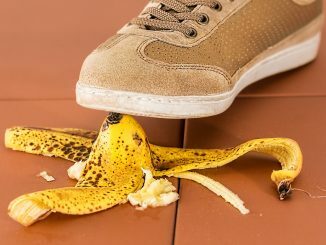 Because determining whether a property owner is legally responsible for a slip and fall injury is never absolutely determined until trial–both the property owner and injury victim will have arguments in their favor–many personal injury attorneys do not like representing slip and fall accident victims. 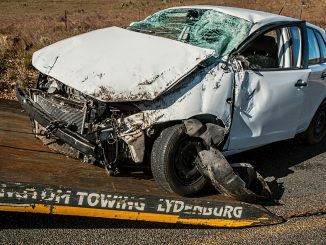 These personal injury lawyers prefer cases where legal responsibility is determined, like rear-end car collisions, and the only issue they have to fight over is the value of the injured person’s injury. 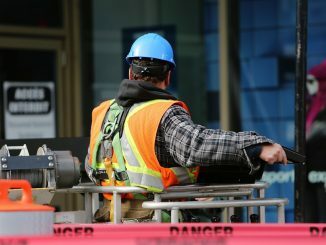 If they do take the rare slip and fall case, they are often lost or unmotivated to do the hard work needed to successfully prosecute these claims. That is why you need an experienced slip and fall accident lawyer to help you. 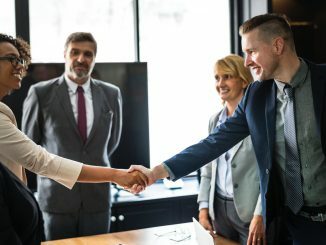 We have built a reputation in San Diego, Southern California, and the entire state of California as successful slip and fall accident lawyers who know how to build, document, and strengthen serious slip and fall accident cases. That reputation is known amongst other personal injury attorneys, many of whom regularly refer their slip and fall accident clients to our office due to our expertise. In addition, it is known by the insurance companies and lawyers for property owners who know that we will take these cases to trial and will be successful. If you or a loved one have been injured in a slip and fall accident and you would like more information, contact us for a free consultation. 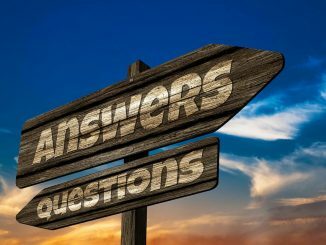 We will make sure that none of your questions are unanswered and that you are informed about the legal process for slip and fall accident cases. Many people do not realize that a business can be held legally responsible for injury or death due to the business’s negligent security. Issues of dim lights, video cameras that do not work, broken locks, and lack of security patrols could be the difference between life and death if they create unsafe situations. Criminals wait for an opportunity to strike, and if security provided the opportunity to harm innocent victims then property owners may be legally responsible for those injuries. Was your loved one attacked where a business should have known about a criminal threat and responded to them? If an area has a history of crime, or if the police have been called on many occasions, the business should provide a reasonably secure environment. This includes, and is not limited to, proper lighting, security guards, and surveillance cameras. Parking lots should have sufficient lighting to guide people to their cars and discourage criminals from mugging innocent people. Even adjacent business owners may hold a degree of liability in these cases. Business owners that are aware they are in a high crime area that does not maintain their security systems on windows and doors or have failing buzzer systems, may be held liable for attacks that caused injury or wrongful death. If a school ignored a threat of violence, they could be liable as well. Did the school have a plan for dealing with violence? Negligent security may be a factor if your child was harmed while at school. If any of this sounds familiar to you or your loved one’s injury or wrongful death, you may have a claim against a business for negligent security. These cases are very fact specific and reviewing your case with an experienced premises liability trial attorney is a must. We have built a reputation for successfully prosecuting negligent security cases. Many lawyers, due to the difficulty and expense, do not handle these cases. We do. 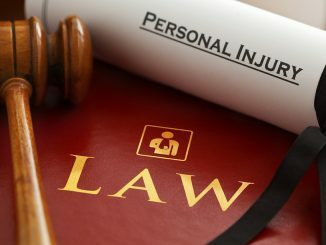 In fact, other personal injury lawyers routinely refer their premises liability clients to our office because of our successful reputation. You can contact our office for a free consultation at any time to learn about your legal rights. This Opinion Maybe the Most Important Decision for California Personal Injury Attorneys and Their Injured Clients! The Howell v. Hamilton Meats & Provisions, Inc. decision may be the most important decision for California personal injury attorneys and their injured clients. The California Court of Appeals reinstated the collateral source rule’s guarantee that plaintiffs are entitled to the full billed value of their medical bills and not the discounted payment from their private health insurance carrier. ssdi payment calculator – In this case, a San Diego, CA woman won her appeal to have $130,000 of her jury verdict reinstated after the Court discounted the verdict by the reductions obtained by her health insurance. The Third Appellate District Becomes the Latest Appellate Court to Uphold the Collateral Source Rule That Negligent Defenders Should Not Benefit from Injured People Who Have the Foresight to Purchase Health Insurance. 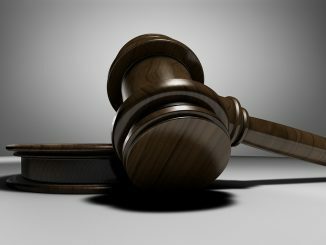 The California Court of Appeals for the Third Appellate District recently ruled in King v. Willmett that the collateral source rule bars the reduction of jury verdicts based upon reduced amounts paid by the injured person’s health insurance company. The rule prevents the courts from rewarding negligent defendants from benefiting from the foresight of injured people who purchased and then used health insurance to pay for their medical care arising from an accident. This is a very important decision benefiting California injury victims. It overrules the argument made by insurance defense attorneys in the Nishihama and Haniff cases. Schedule a free consultation with an experienced disability attorney or representative in the Phoenix area, and all of Arizona. Call (888)939-4692 or via the web https://disabilityhelpgroup.org. We would be honored to answer your questions or represent your case. In People v. Khaled, the California Court of Appeals ruled that the hearsay rule applies to photographs and videotapes used by police agencies to enforce red lights at intersections monitored by cameras. In order to substantiate the photographs, prosecutors must call witnesses who can lay a foundation for when, where, and how the photograph is taken in order for it to be introduced into evidence. Further, laying such a foundation is necessary to establish that the photograph was not altered by Photoshop or some other method. Q: What can threaten my California slip and fall claim? A: If you have suffered injuries after falling on slippery tiles, you should speak to a San Diego injury law firmto discuss filing a California slip and fall claim. Denial, low settlement offers, and unfair adjusters could ruin the outcome of your California slip and fall claim. Since this kind of claim can be very difficult to pursue, it’s best that you don’t try to tackle it on your own. Therefore, you should know about the various ways in which your claim could be minimized or denied when you’ve fallen on slippery tiles so that you can help your law firm build your case. Keep in mind that insurance adjusters will try all sorts of tactics to settle your claim as quickly and cheaply as possible. It doesn’t matter if you have suffered a traumatic brain injury while losing your balance on slippery tiles. One threat to your claim is that it could be outright denied. Insurance companies will search for any loopholes that put you at fault or cast doubt on your version of how your accident occurred. Another threat is that you may be offered an unfair settlement. A San Diego injury law firm can help determine whether a settlement is truly fair and will address any future medical or vocational needs. If you accept a low settlement before you realize the full extent of your injuries after you slip and fall on slippery tiles, you will not be able to ask for more damages. Your claim could also be threatened if you think your insurance adjusters are fair. Be advised that their goal is to save the company money, not to look out for your best interest. If you or a loved one have been injured in a slip and fall accident in California, we are here to help. When you’re ready to get started on your case, simply contact our law offices online or by phone. The consultation is free! Any Distraction can Endanger a Driver’s Safety. However, Texting is the Most Alarming Because It Involves All Three Types of Distraction –Visual, Manual, and Cognitive. Motor vehicle crashes remain the leading cause of death for American teenagers. 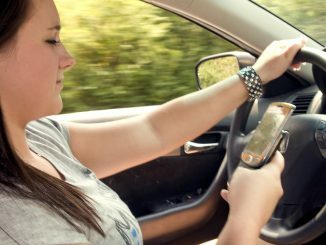 According to a survey conducted by the American Automobile Association and Seventeen magazine, almost nine in 10 teenage drivers (86%) have driven while distracted, even though 84% say they know they shouldn’t. 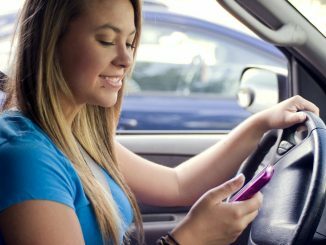 Because texting involves both physically taking the phone out, mentally thinking about, and reading the text, it is especially dangerous for young teens who are inexperienced and more risk-taking behind the wheel. The No. 1 source of driver inattention is the use of a wireless device. Distracted driving is a growing problem on America’s roads, and the number of injuries and deaths will keep climbing every year unless drivers start educating themselves about safety regulations. Text messaging has grown an almost 10,000-fold increase in 10 years and many drivers still continue to text even though they are aware of the dangers (Virginia Tech/NHTSA). Most of us have texted while driving; and though you may not have gotten into an accident, you probably drifted into another lane or had to make a sudden stop because you were distracted by the text message. Yet, we still make no efforts to stop. Drivers who use handheld devices are four times as likely to get into crashes serious enough to injure themselves. In addition, drivers who are texting can be more than 20 times more likely to crash than non-distracted drivers. The National Safety Council estimates 25 percent of all crashes in 2008 involved talking on cell phones – accounting for 1.4 million crashes and 645,000 injuries that year. As a response to these astounding numbers, California law passed the Wireless Communication Device Law (effective January 1, 2009) banning drivers from writing, sending, or reading text messages on a wireless telephone while driving, (California Vehicle Code 23123). Texting while driving involves three types of distraction: visual, manual, and cognitive. The process of reaching for a phone and reading a text message requires you to take your eyes off the road, taking hands off the wheel, and take your mind off what you are doing. Using a cell phone while driving, whether it’s handheld or hands-free, delays a driver’s reactions as much as having a blood alcohol concentration at the legal limit of 0.08%. Car and Driver Magazine was the first to put this to the text. Rigging a car with a red light to alert drivers when to brake, the magazine tested how long it takes to hit the brake when sober, when legally drunk at .08, when reading and e-mail, and when sending a text. The results were frightening. The driver was slower reaching and braking while e-mailing and texting than he was while under the influence of alcohol. This proves that in some ways, texting while driving is more dangerous than drunk driving. If you or a loved one are the victims of a car accident caused by a driver’s inattention, and especially while on the phone or driving, you deserve to be compensated for your sufferings, and you may need a lawyer to help you win your case. 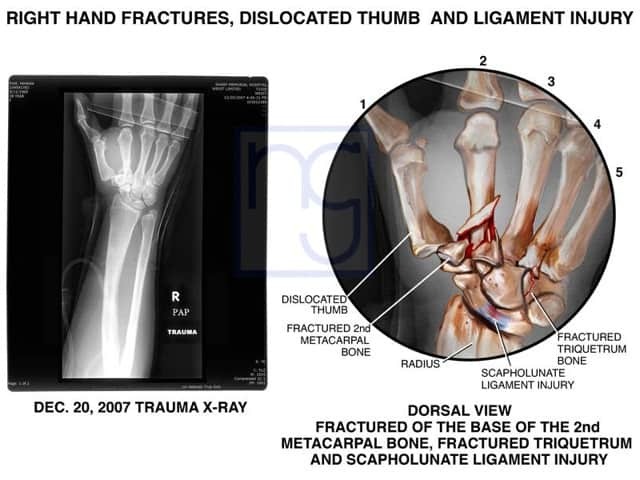 We have the experience and quality in serving San Diego County personal injury victims. Contact our personal injury office to set up a free consultation. Money Can Never Replace the Hole Left Behind by the Loss of a Loved One, It Can Ease the Financial Pain that the Family Members Must Endure. We Can Help the Dependents Obtain the Monetary Help They Need. Money can never replace the hole left behind by the loss of a loved one. However, justice and California law requires a negligent party to pay for all the damage they cause, including the death of another person. Making sure your family obtains full justice means receiving money that can ease the financial pain that the family members are burdened with after someone close has died. 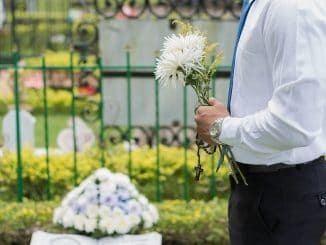 In the event of a fatal accident in San Diego caused by the negligence of another, the surviving relatives of the deceased victim have the right to make what is called a wrongful death claim. In a wrongful death claim, the surviving family is asking for monetary damages for the loss of their loved one. First in line are the surviving spouse, children, and surviving issue of deceased children of the decedent. If these claimants do not exist, then the next in line in order are the person’s parents, siblings, children of deceased siblings, grandparents, and then their linear descendants. If none of these claimants exist, it can become a bit more complicated. The second group of claimants includes a putative spouse (someone who can prove that they were married to the decedent but not married by law), children of the putative spouse, stepchildren, and parents of the decedent. When Must I File a Wrongful Death Claim? Every state has a limit on the amount of time a person has to file a wrongful death lawsuit in court. In the state of California, the time limit, also called the statute of limitation, is about two years, with a few exceptions. If you do not file your wrongful death action on time, you will be barred from filing it all together. How Much and What Can I Sue For? California law governs the amount of damages that can be recovered by beneficiaries. Family members can sue for compensatory damages, which cover medical costs, funeral expenses, lost wages, grief, and loss of companionship. Punitive damages may also be awarded in a wrongful death case if the defendant’s actions were particularly reckless and heinous. 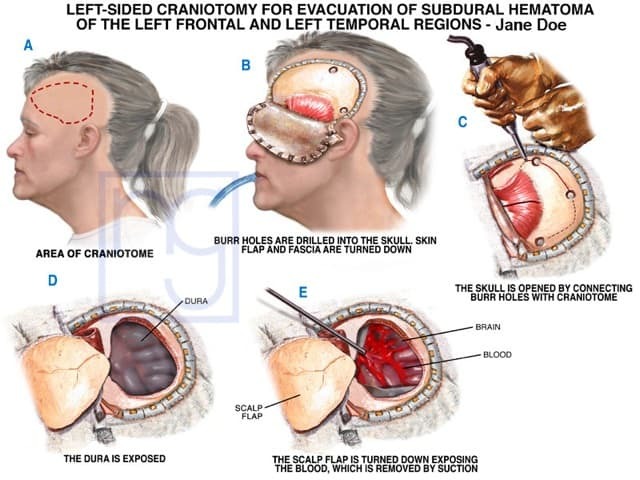 These damages are distributed among the survivors. 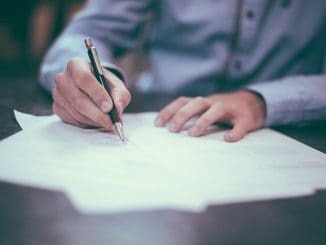 Because of the potentially high amount of monetary damages that can be recovered from a wrongful death claim, insurance will go to great lengths to defend themselves from these actions. It is best to have a dedicated wrongful death claim attorney by your side to make sure you get the best representation possible. 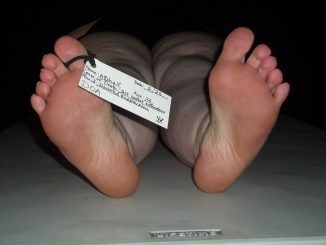 Our wrongful death claim lawyers will make sure you get the reparations you need and deserve. Contact our personal injury law office to set up a free consultation. In a city like San Diego, bicycle riders are abundant. Unfortunately, that also means that bike accidents are more frequent than in other cities. What can you, as a biker, do to help maintain safety and avoid getting hit by a car or truck? Of course, bike riders should take normal precautions such as wearing protective gear and reflectors to help other cars and vehicles see you on the road. If bicyclists routinely did this, the number of bike accidents would be greatly reduced. There are other routine safety tips that bike riders should follow. If you’re riding at night, get a light. 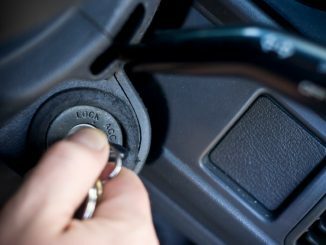 If you have a horn or other noisemaker, be sure to sound it to alert drivers of your presence. And you should be in the habit to slow down when nearing intersections in case you do not have enough time to take safe measures. However, there are some bicycle crashes which can not be prevented simply by using the proper protective gear and safety equipment. Of these frequent bike accidents, there are several typical kinds which replay themselves over and over. 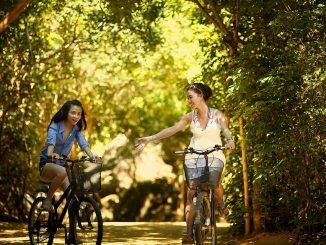 Here are a few ways to avoid these common bicycle accidents. This bicycle accident happens when a bicyclist comes up to an intersection with a car approaching perpendicular to the bike on the right. Rather than wait for the bicyclist to cross the intersection, the car pulls out into the intersection and pulls out in front of the bike or “t-bones” the bicyclist when the car enters the nearest lane of traffic. Many times, bicyclists ride as far to the right of their road as they can. However, when it comes to intersections, if you can come out a little further so that you are riding a car’s width away from the curb, it is much safer. That is because more car drivers are likely to look for cross traffic coming from the lane of traffic, compared to looking for bikes or cars near the sidewalk. If you’re riding on a street where cars frequent parallel park near the curbline, do not ride close to the parked cars. A lot of drivers will keep a car door open while they collect things or will unexpectedly open their door, which could lead to you crashing into the car door. If you can safely move further to the left away from the parked cars without interfering with traffic, be sure to do so. Otherwise, slow down and drive your bike patiently. It may be inconvenient, but it’s better than getting in an accident. Often, when a bicyclist is going straight through an intersection, drivers try to overtake the bike rider and then make a right hand turn in front of them. This can oftentimes lead to the car driver miscalculating how far ahead he is from the bicyclist and making it more likely that the bike rider will collide with the vehicle making a right hand turn. When approaching an intersection, it is helpful to ride in the street to avoid being put in this position. Riding in the sidewalk is not preferable. First, sidewalks are for pedestrians. But, more importantly, sidewalks make you much more invisible to the traffic than you would be if you were riding alongside a car. Be sure to ride to the left, a comfortable distance between the curb and right hand turn lane. If you take up a little more space, it makes it harder for vehicles to overtake you or cut you off. Glance in your mirror before crossing the intersection. If you don’t have handlebar or helmet mirrors, they would be a wise investment. While these are just a few of dozens of the typical bike accident scenarios, working to maintain your safety in these give you skills to deal with other typical accidents. 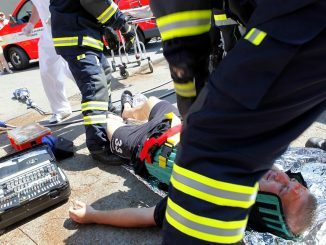 Bike riders tend to be at a disadvantage when they are involved in San Diego car accidents and often times risk death. Err on the side of safety and keep San Diego a safe, bike-able city. What are the Dangers of Long-Term Cortizone Injections? You or someone you know may have used cortisone injections to treat their joint pain following an injury accident. Over the years, cortizone injections have been proven to reduce pain and inflammation on people’s shoulder, knee, neck, and back injuries following an accident. However, the long-term use of cortizone injections also has harmful side effects that many people do not know about. 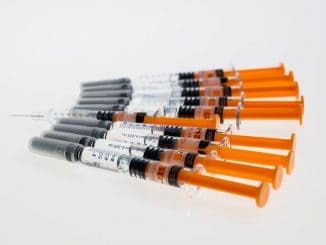 Our San Diego personal injury attorneys recently wrote an article about the benefits and potential dangers of prolonged cortisone injections on our injury accident website. Before you use this type of treatment, make sure you are informed of what the drug could do to you and what the risks and benefits. For more information, please read the full article. An unidentified elderly man crashed his car into the wall of Cost Plus World Market in La Mesa on November 17, 2010. The elderly car driver said that his foot hit the accelerator and the car went in reverse. It appears that the man did not realize that his car was in reverse and was attempting to drive forward. According to witnesses, the elderly car driver crashed into three mailboxes and parts of a concrete wall before his car came to rest against the wall. The auto accident raises several concerns that are often mentioned about elderly drivers. Even assuming that the elderly driver did not realize his car was in reverse, why didn’t he remove his foot from the accelerator and apply the brake as soon as his car went backward? 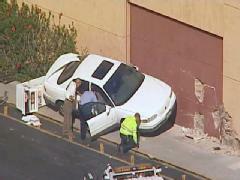 Why did it take a concrete wall to stop the vehicle? Presumably, if the car did not collide with the wall it would have kept on traveling and could have struck and killed or injured pedestrians or other motorists. Should elderly drivers be tested more frequently? Should elderly drivers be allowed on the road past a certain age? 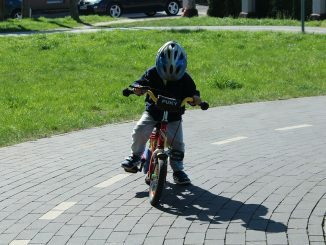 After their motor skills deteriorate to the point when they don’t realize which direction they are going? Or after they cannot apply the brakes quickly? These are legitimate questions but have to be tempered with the desire of elderly drivers to remain independent and be able to commute on their own as needed. We are very thankful that no other motorist or pedestrian was injured in this La Mesa car accident. As many of you may know Houston personal injury attorney and Vujasinovic & Beckcom founding partner Brian Beckcom is a third-generation Fighting Texas Aggie. Even though Brian went to “trade” school at the University of Texas (or t.u. and “The University of Texas School of Law” to Aggies), he claims he was actually educated at Texas A&M. Brian’s a maroon-blooded Aggie and season-ticket holder for the football games and has been since the day he graduated from Texas A&M. The Texas – Texas A&M game is one of the oldest rivalries in college football. Traditionally played on Thanksgiving Day, the game pits two in-state rivals against each other and often pits friends and families against each other, at least on Thanksgiving Day. Although the rivalry is pretty intense already, we’ve decided to bring it up a notch. Brian Beckcom, a Houston personal injury attorney, and the Law Group, founded and run by a Texas Longhorn fan and supporter, are placing a bet on this year’s game. Whoever loses the game has agreed to change their Facebook avatar to the opposing school’s mascot for one week. Although this doesn’t sound like much, to a U.T. or Aggie grad and fan changing your Facebook logo to the opposing school’s mascot for even one millisecond is enough of public humiliation to cause teeth to grind, hair to fall out, and tears to shed. Gig ‘em and Hook ‘em! 62-year-old George W. Brown was injured in a serious car wreck that occurred on November 20, 2011, around 3:15 a.m. in the 300 block of Carlsbad Village Dr. According to police spokesperson Josh Bubnis, Brown was found unconscious, lying on his side in the eastbound lanes of Carlsbad Village Drive. 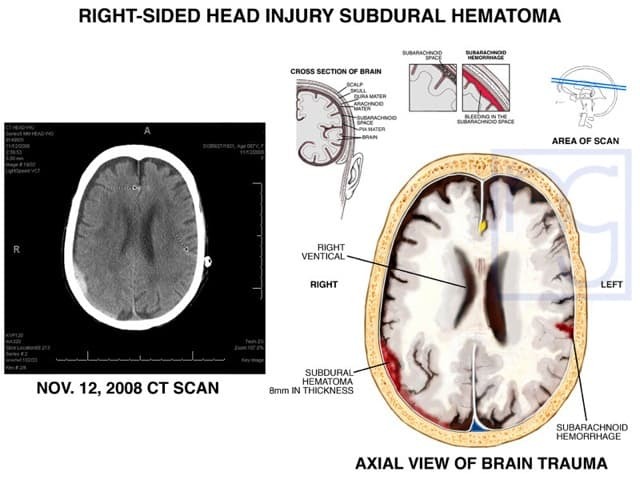 Brown suffered serious head injuries and was immediately transported to Scripps Hospital in La Jolla for medical treatment. From the available information, it is unclear what led to this serious car wreck. The accident is under investigation. Meanwhile, the injured victim’s family members should immediately seek counsel from an experienced San Diego County pedestrian accident lawyer who would educate them about their legal rights. 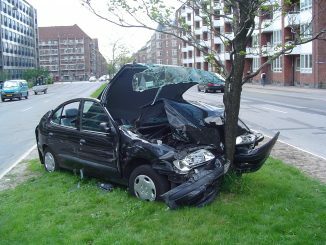 This lawyer may also help the victim obtain compensation for the losses occurred in this crash. Our personal injury law office hopes that the injuries suffered by Brown do not prove fatal or have long-term effects. 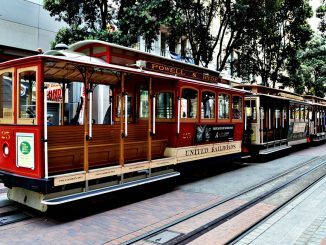 Four people were injured in a San Francisco cable car accident on the San Francisco Municipal Railway on November 21, 2009, when the cable car stopped without warning causing them to fall. The car stopped because a strand on the underground cable had started to detach. Cable cars use the cable to drive the cars along San Francisco’s many hills. According to police, the injured people included the cable car conductor, gripman, and two other passengers. The initial investigation reveals that the cable car operator was unable to release the cable car grip from the partially torn cable and the conductor then asked central control to shut down the system. At the time of the accident, the car was headed to Fisherman’s Wharf. At this time it is too early to determine whether a legal claim can be made on behalf of the injured victims. 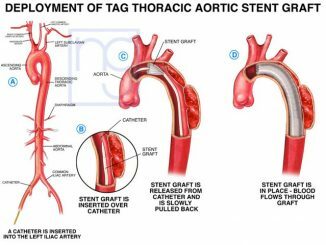 However, if the strand detached from the cable due to a manufacturer’s defect or poor maintenance, a claim may be successfully made. If you or a loved one has ever been injured or killed in a San Francisco personal injury accident, contact San Francisco injury lawyer and the San Francisco, CA accident attorneys. Slip and fall accidents commonly cause lower leg injuries when people fall unexpectedly and cannot stop themselves gracefully. 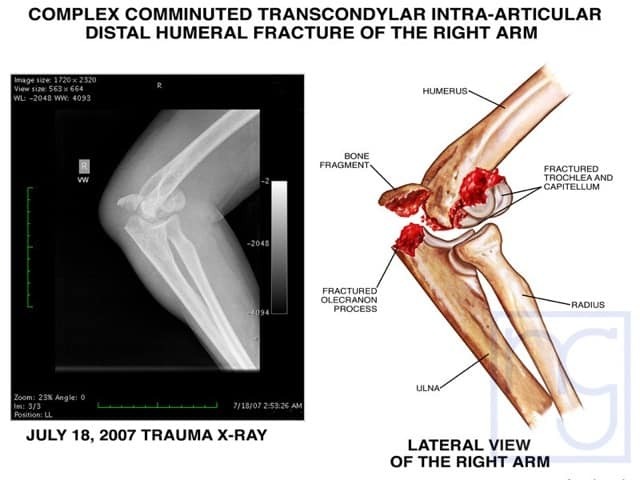 The torque and force the fall put on their joints and bones can be severe and cause serious injury and pain. In the medical community, the severity of a lower extremity injury stemming from a slip and fall accident is determined by several risk factors. Some people are more susceptible to leg injuries, such as a foot and knee injury from a slip and fall than others and it could affect your personal injury case. Our San Diego slip and fall attorneys recently discussed a medical study at a personal injury law firm website which attempts to predict the severity of lower extremity injuries to predict medical treatment and prognosis. Are You More at Risk for Suffering a Lower Extremity (Leg) Injury from a Slip and Fall Accident? A New Study Finds Key Indicating Factors. 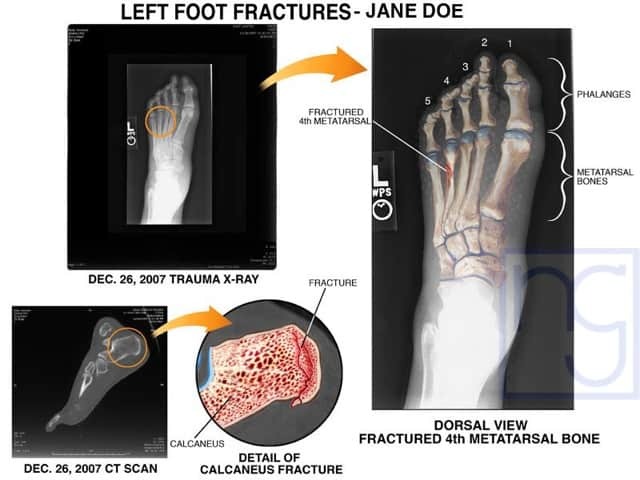 Lower extremity (leg) injuries are frequently caused by slip and fall accidents. Slip and fall accidents most commonly lead to injuries such as muscle strains, contusions, and ligament sprains to name a few. 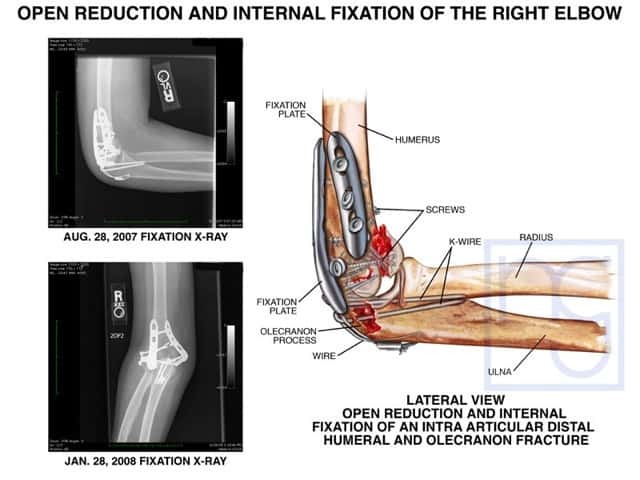 The ankle, knee, and lower leg are the most common places for lower extremity injuries. Lower leg injuries are frequently treatable, but costly, and the worldwide medical costs for treating them are estimated at $1 billion a year. 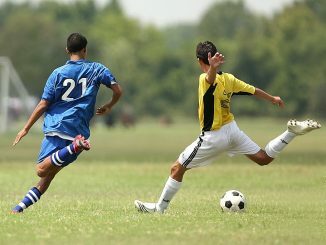 Because of the frequency and treatment costs of lower extremity injuries, researchers and clinicians have compiled a list of risk factors to help determine how severe the lower extremity injury is relative to the scope of possible leg injuries. Some risk factors include: age, gender, menstrual cycle (in women), previous injury, inadequate rehabilitation (of a previous personal injury), acrobatic fitness level, limb dependence, flexibility, muscle strength/balance, reaction time, limb girth, postural stability, and anatomical alignment. Leg injury risk factors help insurance adjusters, doctors, and attorneys determine the severity of the slip and fall accident which helps them access the compensation the injured person should receive. This is why every slip and fall case is unique. Since people themselves are unique, there is no specific rate that a person will get when they suffer a slip and fall accident. If you have suffered a slip and fall accident that has caused a lower leg injury, including a foot and knee injury from a slip and fall, please be sure to see an orthopedic doctor, preferably a surgeon, as soon as possible to have your injury examined and to determine its’ seriousness. It would also be a good idea to gather all relevant facts available to you about your accident—gather all contact information for witnesses to the slip and fall, take pictures of the material or object you slipped or tripped on, and look around for any video cameras which may have captured the slip and fall. You should bring this information to an experienced San Diego slip and fall lawyer who specializes in personal injury cases, such as our lawyers, for a free consultation and help with getting the medical treatment you need and a guidance. What Good Do Personal Injury Lawyers Do For Society? 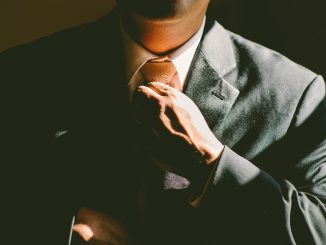 Unfortunately, personal injury attorneys have a bad reputation with most people. Many see our role in the legal profession as greedy and vindictive people who chase ambulances in order to make money at the expense of our clients and society. Not only is the stereotype false, but many people overlook all the good things that injury lawyers do. We are dedicated to our work and we are motivated by ensuring our client’s rights are represented so that they receive the compensation they deserve. Our San Diego accident attorneys certainly do not fall under this poor stereotype. We recently wrote an article about the stereotypes about our profession, why they are not true, and why injury attorneys benefit the public. As a nationally recognized personal injury attorney, I receive a number of lawyer newsletters from law offices around California and the United States. I received one recently from Dallas personal injury lawyer Jeff Rasansky which had an article in it entitled, “Advocates or Ambulance Chasers.” It really struck me with it’s honesty and truth about the good that injury lawyers do…and the negative public opinion they commonly face. It’s no secret that personal injury attorneys have a bad reputation in our society. We have all heard the various stereotypes and jokes about our profession. These stereotypes are not only false, but they are damaging to our legal system and society. The legal system is what people should turn to in their time of need. It is their last avenue for appeal and redress when private parties and the government will not act responsible for their negligent acts. And truth be told, the vast majority of personal injury lawyers are doing the right thing. People that are involved in a car accident, motorcycle accidents, or injured by a defective product turn to lawyers every day because they know that an attorney will represent their rights, and not those of an insurance company. So where do these negative stereotypes come from? The first source that comes to mind is the media. TV shows, the news, and movies very often show lawyers in the worst light possible: as greedy and vindictive. Also, some of the attorney advertisements by real life personal injury lawyers make it seem that attorneys are money hungry and that they convince people that they need an attorney. However, most injury attorneys do not look at potential clients as dollar signs. These money hungry attorneys are the minority. Not only do injury lawyers help their clients in their time of need, but their work ensures that people live in a safe environment. Corporations and people are mindful of what can happen to them if they decide not to behave in a reasonable manner. Also, you have attorneys to thank for the various safety laws and regulations that we have. These laws were enacted in response to negligent behavior, and these laws provide a standard which intends to keep the public healthy and safe. I can see why people think the way they do about personal injury attorneys since negative stereotypes are all around them. While, it is true that “one bad apple spoils the entire bunch,” you always hear about the immoral attorney who stole their client’s money on the news, but you NEVER hear about any of the positive things personal injury lawyers do for their clients. It also does not help that corporations and insurance companies also attempt to paint injury law firms in a bad light too. However, it takes a lot of hard work and dedication to be an accident attorney. In America, there are several ways to make a living and make money–people don’t have to be lawyers to make a lot of money. In fact, many people chose to become personal injury lawyers because they want to help people. Besides, corporations and insurance companies paint us in this bad light because we threaten them with lawsuits if they do not follow the law and when their insureds are careless and negligent. There may be a time in your life when you are faced with a situation that will require you to hire an accident attorney. You should not be just another number or case in your attorney’s file cabinet.You are an individual with your own worries and hopes about your injury claim. Falling asleep at the wheel causes one in every six car accidents in the United States, according to the National Sleep Foundation. That’s why the foundation is supporting National Drowsy Driving Prevention Week this November. Most drivers are aware of the dangers of driving while drunk, drugged, or texting on a cell phone, all of which can cause a serious accident by taking the driver’s full attention away from the road. Most drivers also realize that it’s dangerous to drive when you’re too sleepy. In a AAA Foundation poll, 96 percent of drivers who responded said that drivers should not be behind the wheel when they are too tired to keep their eyes open. Letter of Instructions to the Captains of the Virginia Regiments [July 29, 1759]. The advocates of consumer rights, viewing the resources of defense firms and corporate defendants, can relate to the trepidation felt by the out-numbered and out-gunned Continental Army. Because of that disparity in resources, Consumer Attorneys of California (“CAOC”) consolidates the voices of consumer attorneys throughout the state to (1) preserve and protect the constitutional right to trial by jury for all consumers, (2) champion the cause of those who deserve redress for injury to person or property, (3) encourage and promote changes to California law by legislative, initiative or court action, (4) oppose injustice in existing or contemplated legislation, (5) correct harsh, unjust and oppressive legislation or judicial decisions, (6) advance the common law and promote the public good through the civil justice system and concerted efforts to secure safe products, a safe workplace, a clean environment, and quality health care, (7) uphold the honor, integrity and dignity of the legal profession by encouraging mutual support and cooperation among members, (8) promote the highest standards of professional conduct, and (9) inspire excellence in advocacy. This post is a multi-blog effort to inform consumer attorneys about CAOC’s value and encourage participation in CAOC through membership. CAOC works tirelessly to protect or advance those causes of import to consumers and their attorneys in California. Often those efforts, though valuable, receive little fanfare. For example, CAOC recently sponsored SB 510, which affects the re-sale of what are known as “structured settlements,” in which victims receive financial compensation over a period of time for medical expenses and basic living needs, as determined by a jury. Before SB 510 was signed by the Governor, Courts expressed frustration at their inability to prevent the sale of structured settlements on terms that might ultimately lead to long-term financial hardship for the victim. Now, SB 510 gives judges the information they need to make a reasoned decision about the propriety of a structured settlement sale. Show your support of consumers’ rights by joining and supporting CAOC. Together we can make an impact that we cannot make alone. 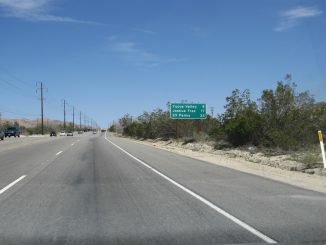 54-year-old Deborah Ann Gerdes was killed in a fatal pedestrian wreck that occurred on November 5, 2011, around 6:40 p.m. on Highway 62 (SR 62) crossing at Geronimo Trail, Yucca Valley. According to San Bernardino County coroner, at least two vehicles struck her as she tried to cross the freeway. Gerdes suffered life-threatening injuries and was pronounced dead at the accident scene. From the available information, it is unclear whether the victim had the right-of-way or was at a marked intersection. The accident is still under investigation. The victim’s family members should immediately seek counsel from an experienced San Bernardino County pedestrian accident lawyer who would educate them about their legal rights. Gerdes’s family members may be able to file a wrongful death claim against the at-fault car drivers to obtain compensation to cover funeral and burial costs, loss of anticipated wages, loss of love, care and companionship, and other accident-related damages. Our law office offers sincere condolences to all those who knew and loved Gerdes for such a heart rendering loss. 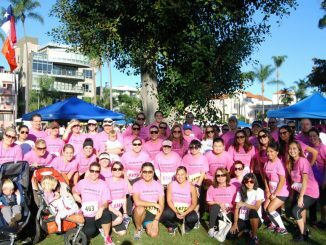 On November 4, the San Diego chapter of the Susan G. Komen Foundation held a “Race for the Cure” event to raise money for breast cancer research, advocacy, and support. The legal team at the Law Group, which has 9 staff members, created a race team of over 50 participates to join in the fight against breast cancer – and we’re taking our support past the race itself. From now until December 4, 2012, the Law Group will match any donations to the Komen Foundation, up to $1,000 total. You can make donations directly. Rosangela Celestrino was called to a Rio de Janeiro hospital to identify her mother’s body on September 23, 2011, only to find that her mother was still alive. The mother was initially admitted to the Hospital Estadual Adao Pereira Nunes for a pulmonary infection. Doctors had pronounced 60-year-old Rosa Celestrino de Assis dead, and she was placed in the refrigerated drawer of a hospital morgue for two hours. 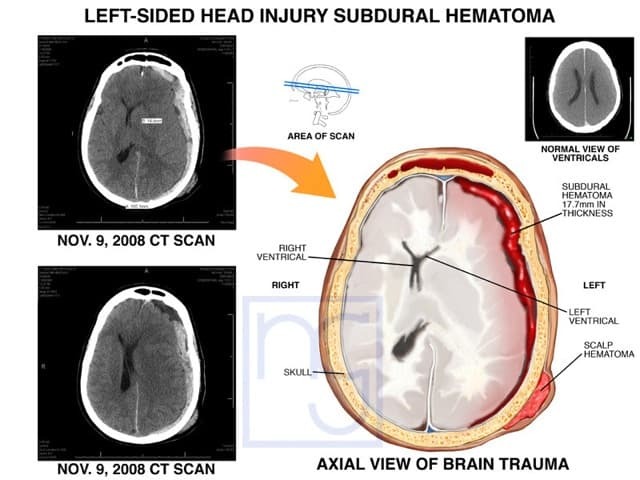 The mother was immediately taken to the ICU, intubated again, and put on a respirator. The nurse who first suspected the mother was dead was fired and the doctor who pronounced her dead had resigned. The Celestrino family made a police complaint. 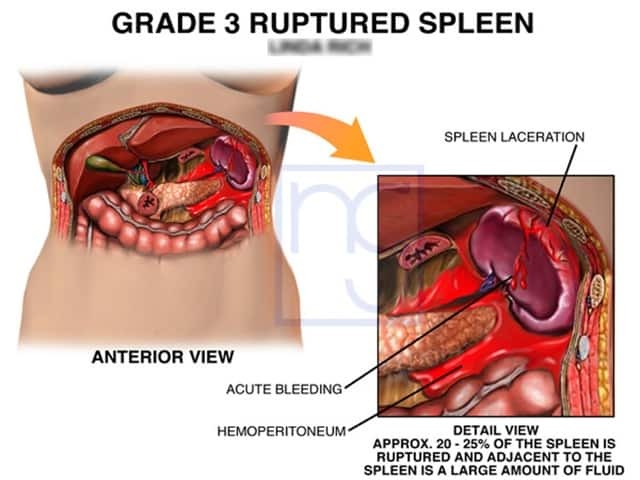 If medical negligence is proven, the family could sue the hospital for personal injury. If the mother dies, the family can file a wrongful death suit for manslaughter.